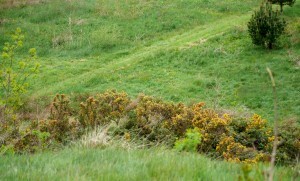 As with all venues – the landowners have given their permission for the Club to train. We’re extremely grateful for their support. It’s important that we’re mindful of the need to leave venues as we find them. No litter please, and please bag and take home any dog waste. It’s so important to remember that, without such generous patronage, we would have fewer locations and less variation of ground on which to train. This page is very much a work in progress. These are narratives rather than directions. The idea is simply to introduce new members to Club venues with a brief description of topography, ground cover, and facilities available. I’d be grateful for venue descriptions and four photos from members in order to complete it more quickly. Not too much information – just something basic and nonspecific – for examples see completed sections below. Please mail to: karenparkinson.pta@outlook.com. This venue consists of fields surrounded by deciduous tree cover, and there’s also a large pond for those of you who’d like to practice water retrieves. Parking and toilet facilities are available. When you arrive please ask about where not to park and also be mindful of the fact that vehicles should be parked neatly as space is limited. Residents who live at the venue must not be inconvenienced in any way. So please act responsibly – you should DEFINITELY NOT leave your vehicles in front of the houses on site. 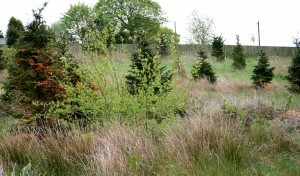 This former Christmas tree plantation is probably best noted for its heavy varied ground cover. 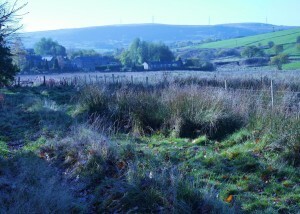 Beds of rushes, white grass, bramble, gorse, and willow herb, together with the remaining conifers of various heights and densities, make the ground challenging for both handler and dog. 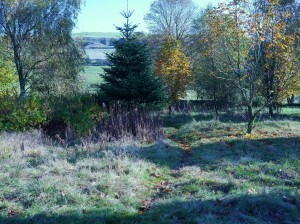 Random cut rides and pathways through the cover together with a small valley running down its length and a sizeable grass meadow complete the picture of a compact but diverse training environment with excellent on site facilities. There are toilet facilities and plenty of parking space on hard standing. THIS IS AN EXCELLENT TRAINING FACILITY. PLEASE NOTE HOWEVER THAT THE CLUB DOES NOT ORGANISE EVENTS FOR THIS VENUE. ANY MEMBERS WISHING TO ADVERTISE A MEETING AT THIS LOCATION ON THE CLUB’S EVENTS CALENDAR (ANY SUCH MEETING WOULD BE OUTSIDE THE AUSPICES OF THE CLUB) SHOULD CONTACT THE CLUB SECRETARY. Plenty of parking but no toilet facilities. Delph near Oldham is the location of the PTA’s home venue, where the Club is striving to create a purpose built training facility complete with jumping lane (with a can be adjusted for height – an invaluable aid for encouraging puppies from an early age). 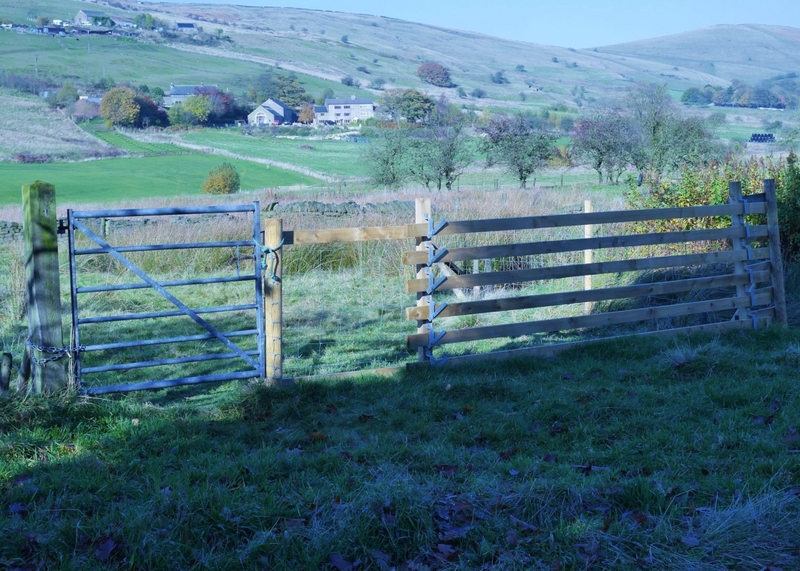 Features include typical stock wire and timber rail obstacles, stone walls, and rushy fields mown in parts to create a variety of cover heights. 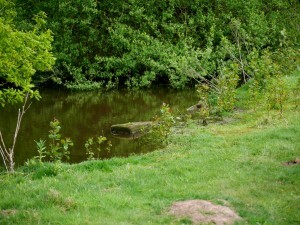 There are also ponds, streams, and a planted area with trees and shrubs. All help to provide an interesting and diverse range of possibilities for training. Parking is on a fairly steep narrow lane – when walking your dogs to the entrance please be mindful of traffic and particularly fast (and silent) cyclists travelling downhill. There are no toilet facilities at this venue. 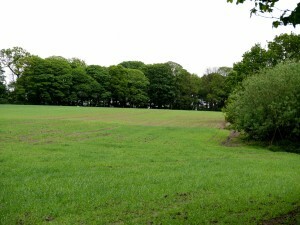 This Lancashire moss land shoot is typified by flat arable and pasture land with blocks of cover crops and ‘set aside’ surrounded by ditches and dykes. 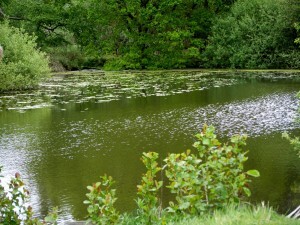 There are also two ponds, safe fences, and a spinney (often used to describe an area of woodland that shelters game). These features collectively make for an excellent and unique training environment. There’s plenty of off road parking. In particularly wet conditions all 2 wheel drive vehicles should not venture too far away from the entrance gate. There is no guarantee that toilet facilities will be available (unless one of our better organised members brings a portable item). Used primarily for training and working tests in a cover crop. This venue is normally only used annually to coincide with the club’s AGM. 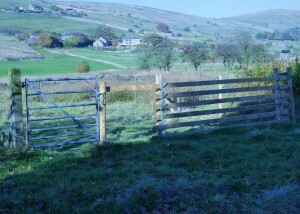 Fields, fences, woodland, and water – an excellent location for all skill levels.